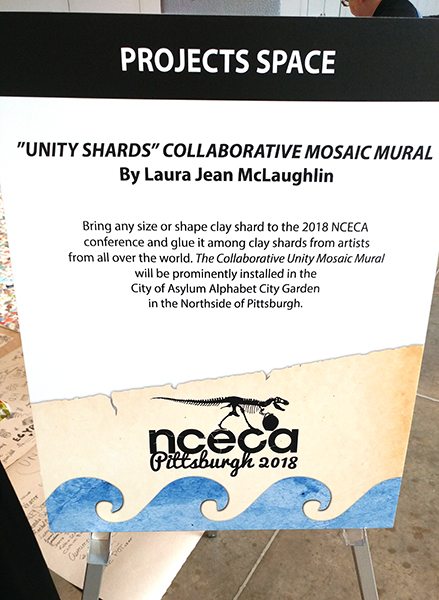 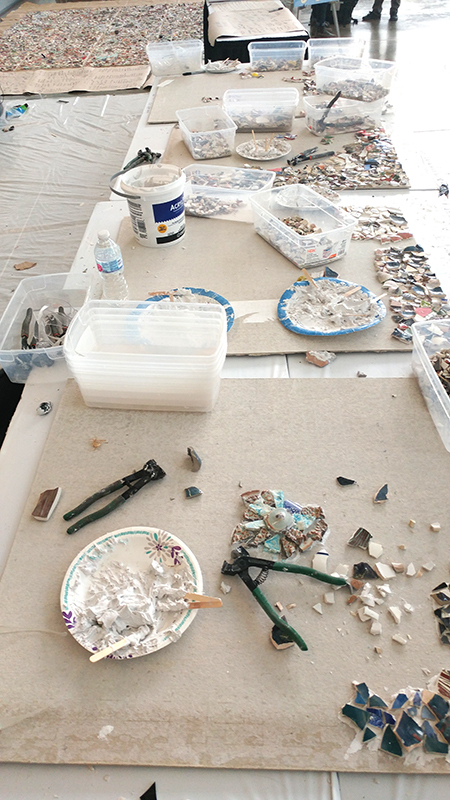 At the 2018 international conference of the National Council of Education for Ceramic Arts (NCECA), CrossCurrents: Clay and Culture, Laura Jean was accepted to be the Project Space artist with her collaborative mosaic titled, “Unity Shards.” The idea came to Laura Jean during her morning meditation to spend months before the March convention collecting ceramic shards from artists all over the world to then use to make a mosaic with the public’s help at the conference. 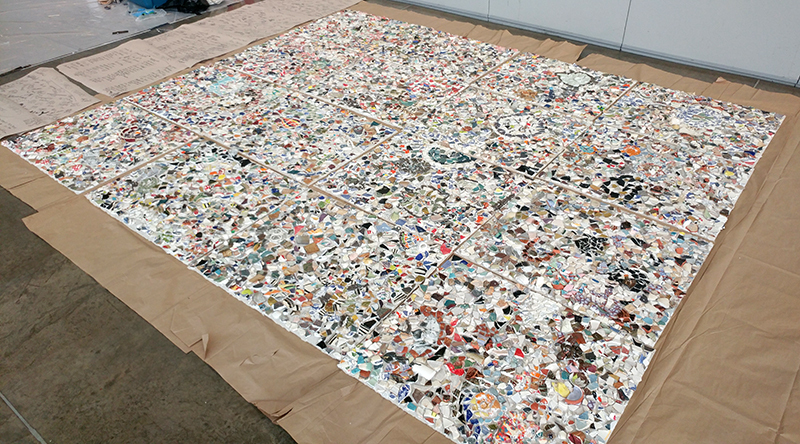 Each board completed would then be grouted and installed on the City of Asylum Alphabet City garden wall by Laura at a later date. 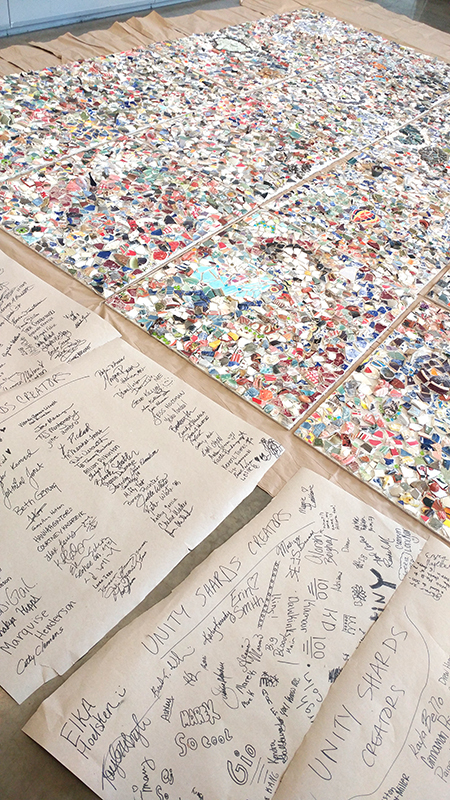 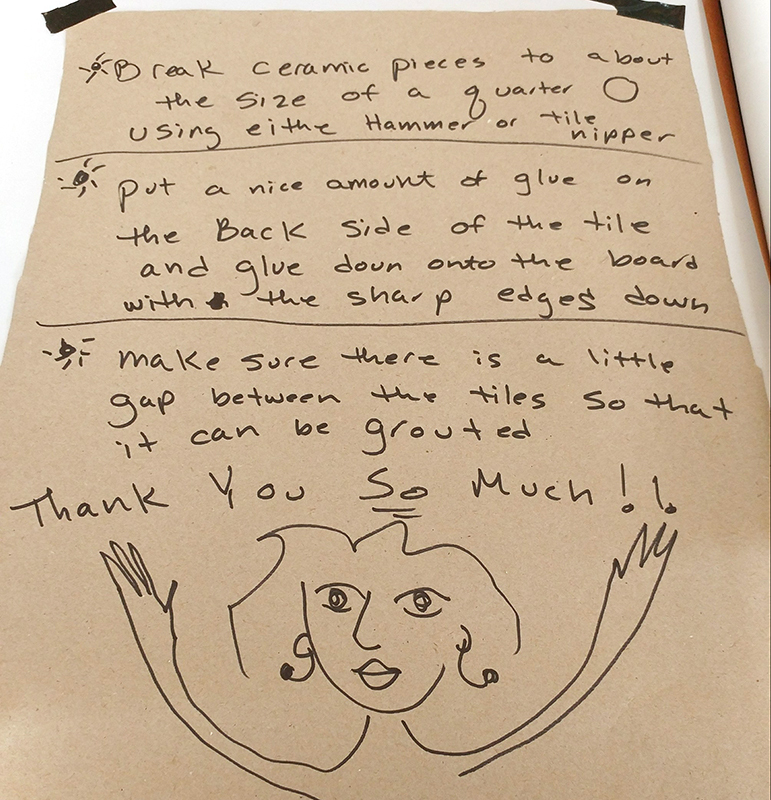 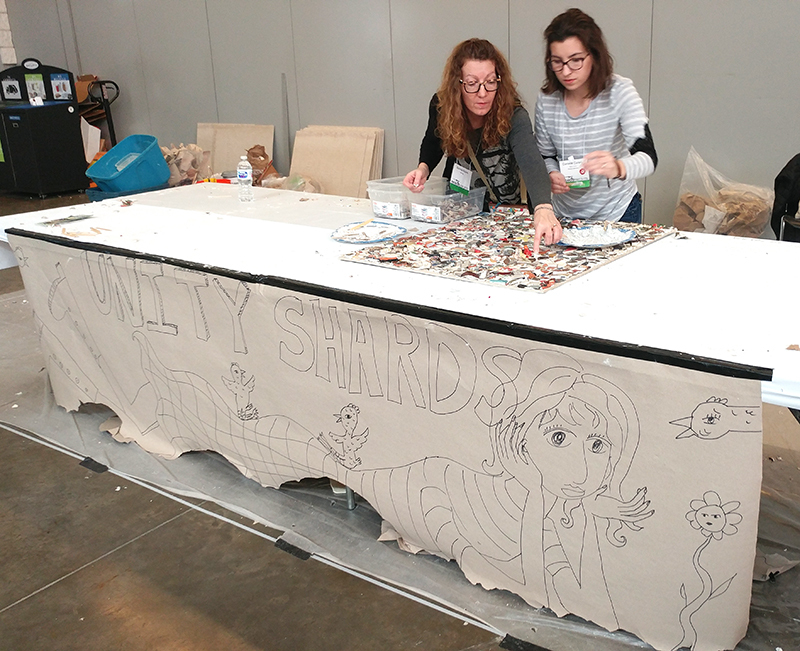 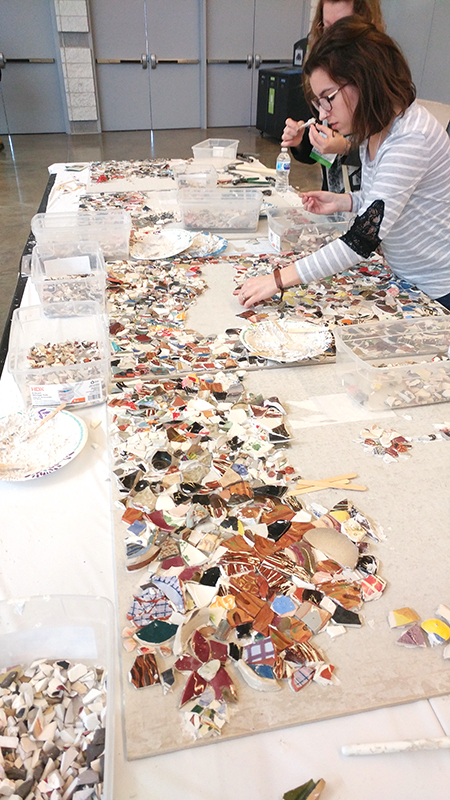 The event was a huge success, bringing not only ceramic art from all over together to create one massive work of art, but also bringing together people from all walks of life who participated in applying the shards to the mosaic.